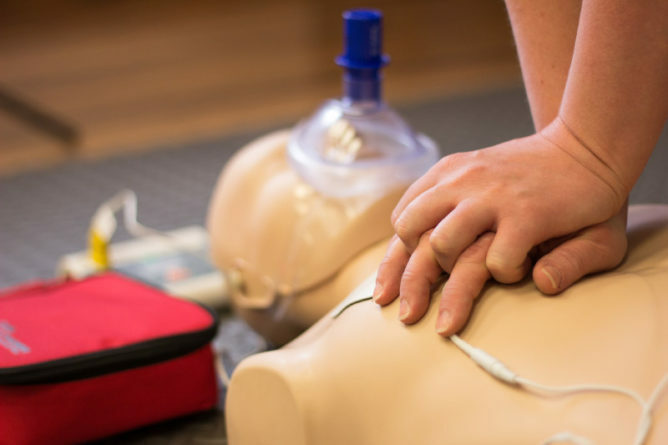 The Douglas Students’ Union, in partnership with Vital Link (Canadian Red Cross Training Partner) offers Emergency First Aid with CPR-C classes every semester at a subsidized rate. Questions? Get in touch with Vital Link! This course is recommended for the general public, care givers, medical professionals, fitness personnel and day camp leaders. You will receive your Red cross Certificate upon completion of the course and is valid for 3 years. There is the ability to upgrade to Standard First Aid for an additional fee – this would become a 2 day course (day 1- Emergency First Aid, day 2 – upgrade to Standard First Aid).